Pull this magical creature's tail. 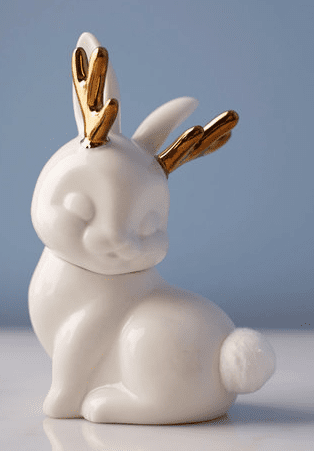 Ceramic sculpture of a jackalope with gilded horns. Head comes off for easy refill. Pull Jackalope's tail for a cotton ball.